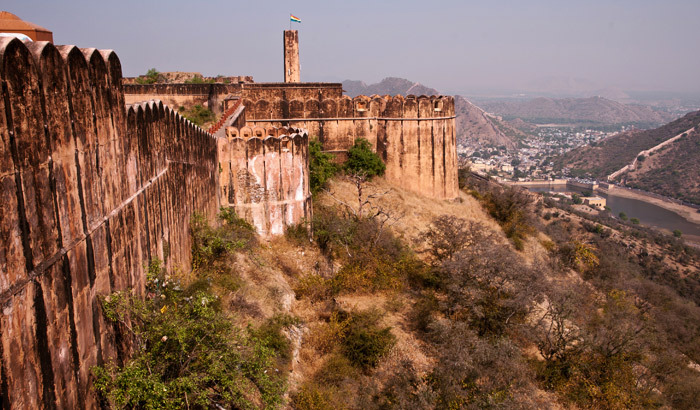 Jaipur is known as The Pink City and important tourist destination of Rajasthan. 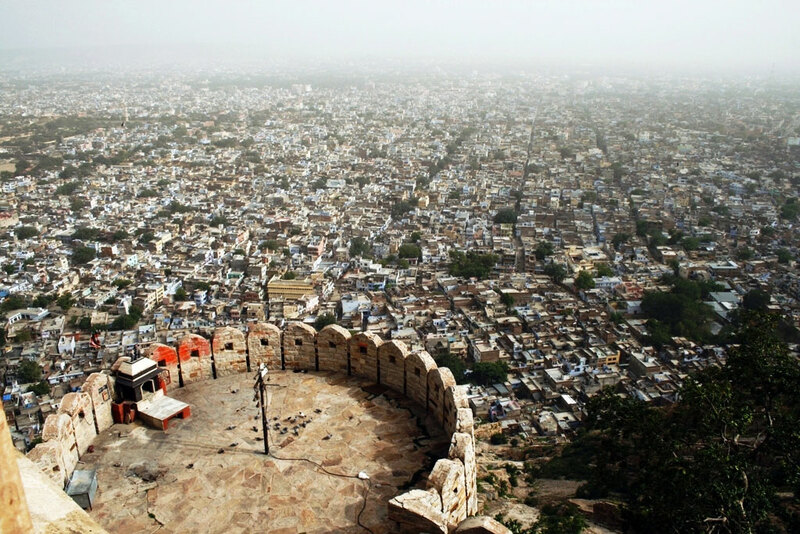 This walled city is famous for its vibrant culture that you should not miss ever. From fort and Havelis to traditional delicacies, this city shares its stronghold with its past. The heritage of the city is well explained by its wonderful architecture. Founded in 18th century, this city has stood as a pillar of astonishment for every traveler who passed by. This is the city with three hill forts and numerous palaces with timeless beauty can be enjoyed by the tourist during each second of tour. Festivals and culture of the land is another legacy of Jaipur. You ought to visit the place during Elephant Festival, Camel Festival, Kite Festival, Teej Festival and others to add the charm in your vacation. 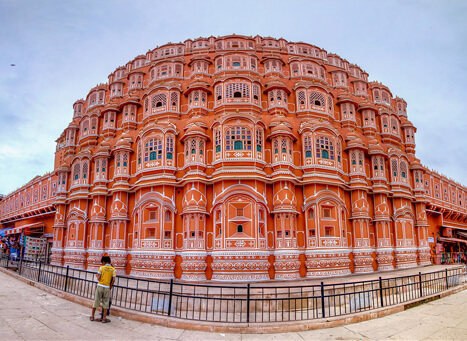 built in 1799, by Maharaja Sawai Pratap Singh, is the most recognizable monument of Jaipur. 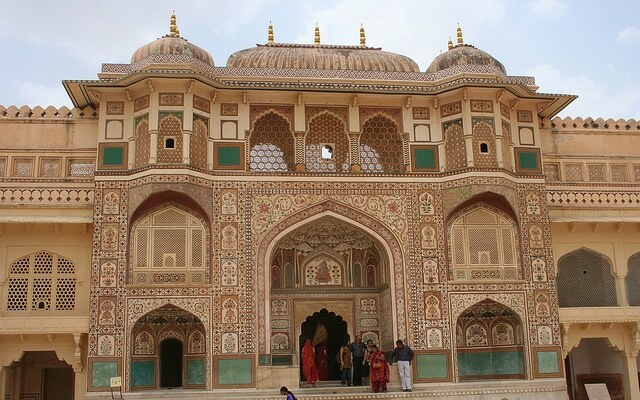 The 5 storied stunning semi-octagonal monument having 152 windows with over hanging latticed balconies is a fine piece of Rajput architecture. Originally designed for the royal ladies to watch and enjoy the processions and other activities, on the street below. Now it houses a well laid out museum. 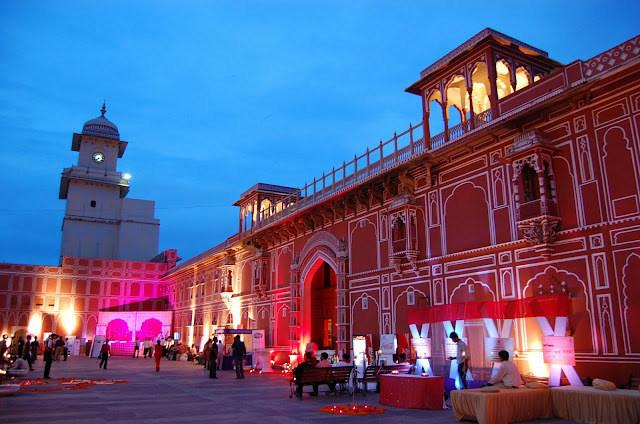 The display Jaipur past and present is the special feature of this newly setup museum. Built by the astronomer king Sawai Jai Singh II, Jantar Mantar is one of the five observatories built by the king. 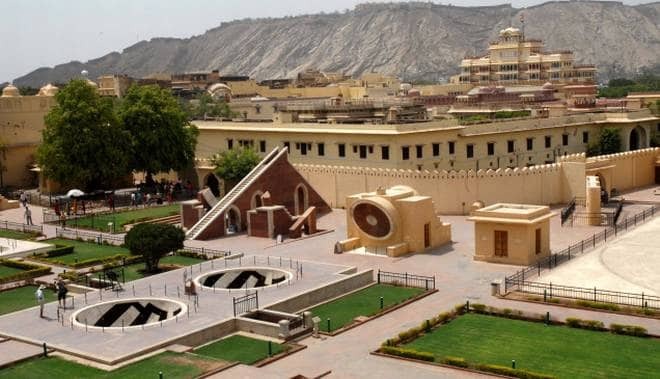 The Jantar Mantar at Jaipur is the biggest and most elaborate observatory in India. Constructed between 1728 and 1734, the Jantar Mantar is located in the center of Jaipur. The name "Jantar Mantar" is a modification of the Hindi words "yantra" meaning instruments, and "mantra" meaning formulae. It was built to study various phenomenon of astronomy like latitudes, longitudes, constellations, local time, declination of the sun, planets and the stars, and to determine eclipses. situated in the heart of the old City, it occupies about one seventh of the old city area. 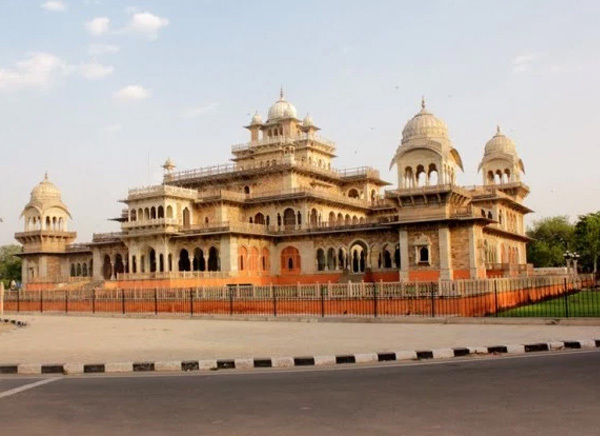 The palace is a blend of Rajput and Mughal architecture, it houses a Seven storeyed Chandra Mahal in the centre, which affords a fine view of the gardens and the city. Diwan-E-Am (Hall of public audience) has intricate decorations and collection of manuscripts, Diwan-E-Khas (Hall of private audience) has a marble pawed gallery Mubarak Mahal has a rich collection of costumes and textiles. There is a Clock Tower near Mubarak Mahal. Sileh Khana has a collection of armory and weapons. One of the oldest museums in Jaipur, built by Maharaja Sawai Ram Singh II in 1868. Boasting of the Indo-Saracenic architecture, the design of the museum is quiet similar to the Victoria and Albert museum in London. The museum building includes many archways, towers and courtyards which boast of a rich architecture. Inside the museum, a vast collection of artefacts like miniature paintings, tribal costumes, jewellery, weapons, clay sculptures, metal and ivory ware, ceramics, musical instruments and marble statues are on display. This museum stores the most famous Persian Golden Carpet which was purchased by Mirza Raja Jai Singh from Persian King Shah Abbas. Even if you are not an art lover, you would love to visit this museum for its interesting collection.